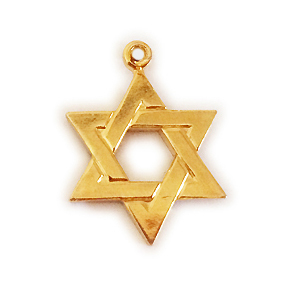 In the modern United States and Europe, charms are used as an expression of the wearer's style, life history and wishes. 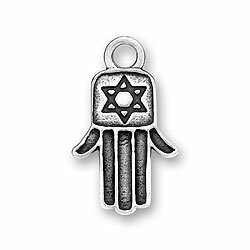 As charms expert and author Tracey Zabar describes it, charm bracelets are history on a wrist. 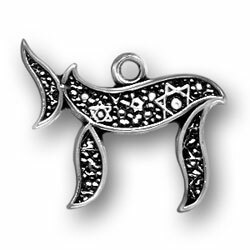 If you consider the wide range of charms available, you won't have a hard time expressing your own personality. 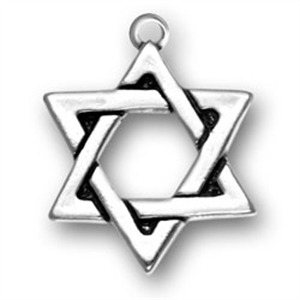 All charms on this page are sterling silver and come with a sterling silver jump right to quickly attach to your existing bracelet or necklace. 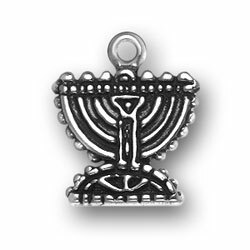 Judaism devotees will appreciate this Sterling Silver Menora Charm, a universally recognized symbol of their faith. 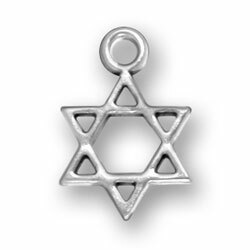 This simple Sterling Silver Star of David Charm tells all who see it that Judaism is important to you.